Many of you have been interested in hearing the team share about our trip. We will have that opportunity on Thursday, October 22, at 7:00 p.m. in Suburban’s room B-3. Come to hear each of us share about our impressions of the trip AND to taste a wonderful, light dessert. 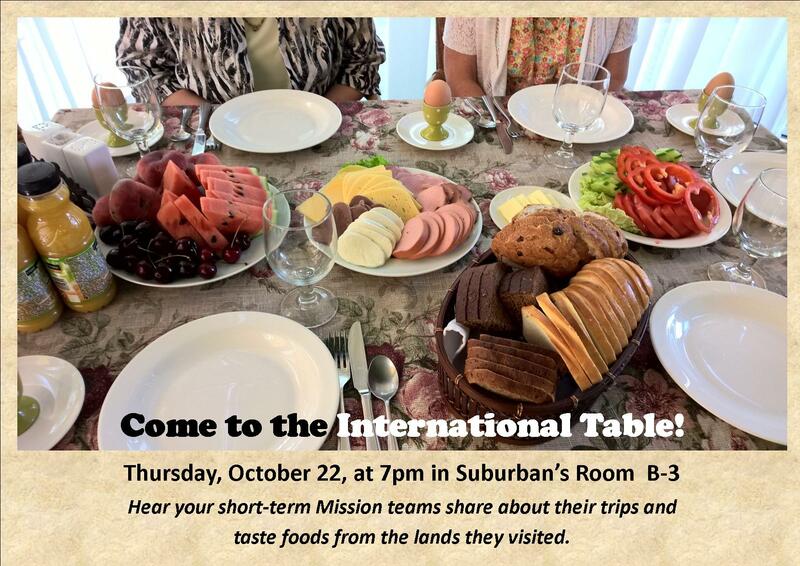 A bonus — you will hear from other short-term mission teams and get to taste foods from the places they visited. We hope to see you there! Next postWarm Heart, COLD Visit!